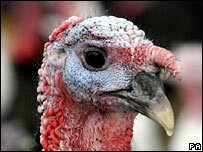 If there were one name British consumers associate with the turkey industry it would be Bernard Matthews. Since the 1981 advertising campaign, when the founder and chairman behind the eponymous brand coined the term "it's bootiful" the name has become synonymous with the industry. But it has taken a while to get there. Mr Matthews bought a second-hand incubator and 20 eggs in 1950 while he was still an insurance industry representative. He then acquired then derelict Great Witchingham Hall, in Norfolk and 36 acres of land in 1955, to form Bernard Matthews Ltd.
Over half a century later and the firm has grown into the industry giant, operating 57 turkey farms in Norfolk, Suffolk and Lincolnshire, producing 8 million turkeys yearly, and employing 6,000 people worldwide. The annual turnover of the private firm reached £400m in 2006. It was during the 1970s, that Bernard Matthews transformed turkey from being a once-a-year food at Christmas, to being a year round meat. The company started offering various products including turkey breast roast and turkey fillets. The decade also saw the firm being listed on the London Stock Exchange, in 1971. Having expanded in the UK, the company began to target international growth in the 1990s by launching in Germany. It also moved into the New Zealand market by snapping up the Advanced Foods in the country, and merging two Hungarian firms to create SaGa foods. The group also entered into the Czech Republic, Poland and Slovakia. After 30 years, in 2001, Bernard Matthews delisted and returned to being a private, family-run company. But despite its success the company's image has faced two hurdles - changing consumer trends and most recently an outbreak of bird flu. Celebrity chef and healthy food campaigner Jamie Oliver said the firm's turkey twizzlers were bad for children, and a school went on to ban the item from its menu in 2005. Most recently, the discovery of the bird flu virus this year prompted 159,000 birds to be culled at the Bernard Matthews farm at Holton. 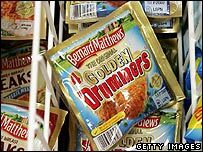 The firm however, which says it maintains the highest standards and wants to "reassure consumers that Bernard Matthews products are perfectly safe to eat."